Available with optional holder, belt attachment and quick release clip. Does not get caught on kelp and reel lines like holster set ups do. Our Spike Stringer measures 7.5 inches long and includes gripping grooves to make it easy while pushing and pulling the spike through the fish. 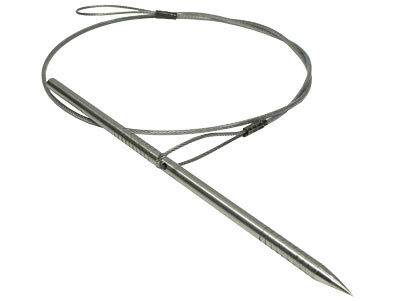 The Spike Stringer is available in your choice of either mono or PVC coated stainless steel cable. Although we offer both mono and coated stainless steel cable, we found that most guys prefer the mono. Mono lasts a long time and it can be cut with a knife in case you need to ditch it in a hurry (safety first!). So, we recommend mono. 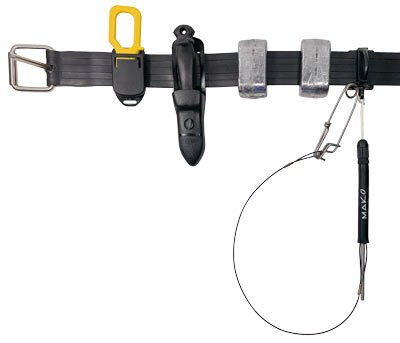 Other options include the black MAKO spike holder, Nylon D ring for attaching to weight belt and a quick release Long Line Clip. Like everything I ever buy from Mako the product is great and the customer service is better. Quality all the way. Very happy with this stringer. I bought this to replace a steel U shaped stringer I lost. This seems pricier for being mostly some strong monofilament, but it comes ready to go, no need for crimping the sleeves like another brand I have seen in a store. This can fit in a pocket. 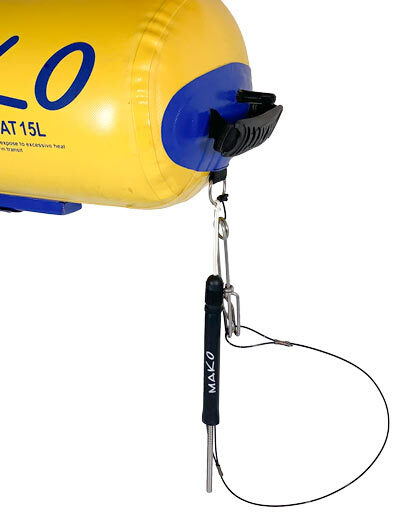 I had attached the steel steel stringer on my float and it would catch on rocks in the surf area when entering the water. This style of stringer instead is compact you can keep it in a pocket. Monofilament seems strong. Although I also used some regular cord once to string fish, this is handier. Works well with my Carter Bag! !